We are a group of people in Leicester & Leicestershire. We are all local residents and patients of the NHS; some of us work in the health service but most of us do not. We usually meet monthly and you are very welcome to contact us if you would like to know when our next meetings are…you will usually find the date here and are welcome to just turn up. 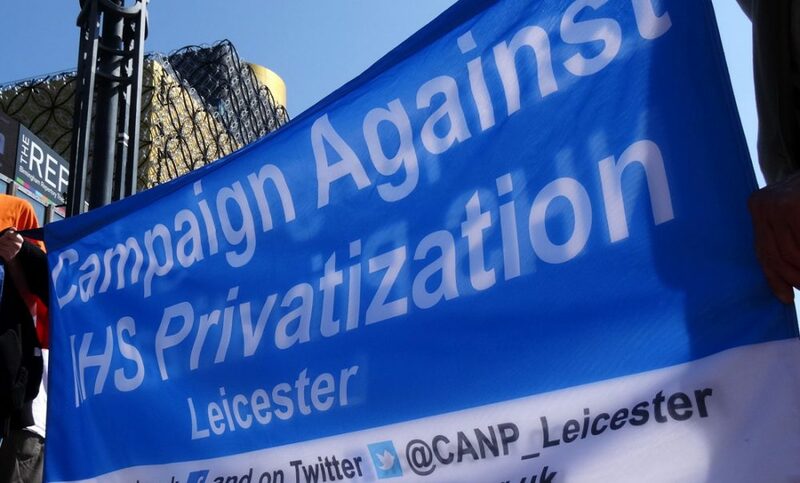 The Campaign Against NHS Privatization (CANP) was formed in 2010, initially to campaign against the Coalition governments’ Health & Social Care Bill. The success of that legislation in passing through Parliament despite the outright opposition of many NHS staff, professional associations, patient groups and members of the public has convinced us that there is an ongoing need to uphold the foundation principles of the service. If you would like us to provide a speaker for your group or for an event you are organising please contact CANP.